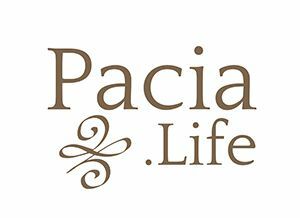 Pacia Life was founded with the intention and passion to fill a gaping void in the education, life skills, grit, resiliency and personal needs for emerging young adults. The informal beginnings of Pacia Life began in 2007 and kept building over time until it was necessary to expand services and open additional locations in 2013. At Pacia Life, we aim to assist in answering life’s questions from both parents and their children. Who shows emerging young adults how emotional regulation and integrity are tied together to create ‘grit’? Who teaches us how solution focused thinking works in the real world? Who teaches us how to be more effective in our academic courses? Who teaches us how to manage our money instead of it managing us? Who teaches our young adults about resiliency in real life when there is not a parental safety net anymore? Who teaches our young adults how to select a proper significant other and close friends and how important these people are to our overall success in life? Who teaches you to work on your body and mind together, so you are operating at top performance, getting more done in less amount of time? Who teaches you to be more productive at work, how to build a network of contacts or to build a business or to obtain wealth? Who teaches you to expand your mind or intuition or to live a life with meaning and fulfillment? Who teaches our young adults to stop living in a reactionary state of life and how to access conscience engineering, living with intention and life mapping? Today, Pacia Life offers 5 different life coaching tracks to choose from. Most of these services are designed through an experiential, hands-on learning model, some of these services can be provided via skype sessions. Traditional College Learning and Life Skills Support: teaching sustainable self-reliance in college (executive functioning skills, study habits, managing social life, tutoring as needed and all competing collegiate commitments) with the intention of graduation with a degree. Non-traditional Collegiate Learning: a tailored combination of experiential learning, internship, certification, online or in-person complimentary academic coursework with the intention of career development. Entrepreneurial Track: similar to #2 with the addition of business coaching, understanding the DNA of an entrepreneur, increasing one’s innovative capacity, catalytic questioning, crowd funding, working with investors, building pro forma, marketing, accounting, state laws, taxes, etc. with the intention of starting a business. Turning an idea, hobby or passion into a career. Financial Self-Reliance Track: broad life skills, putting all of the basics together to live without parental fiscal support with the intention of sustainable self-reliance. Personal goal development (GAP, Yoga, Meditation, Personal Eduction, learning to love oneself, etc. ): custom multi-modal blend of clinically informed life coaching, mindfulness, wellness practices, relationship coaching, re-establishment of healthy social systems, life coaching, community service, GAP experiences (international and domestic), curriculum in the arts and crafts and trades. This is ideal for people who need time to mature, heal, explore, develop grit, grow resiliency, build self-efficacy, finding their intrinsic motivators and balance within their life pursuits.